We decided to bid summer goodbye with a trip to Sagada. Five of us came, in which four has never been to the destination, including me. As expected, it was a very long trip, a super long one. 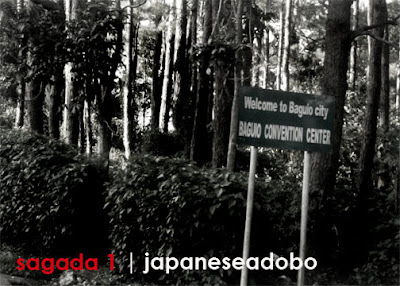 We stopped over Baguio City before riding another bus to Sagada. It has been awhile since I’ve been to Baguio, talking about ten years or so. Excitement and nostalgia all in one. When I was little, we used to go up to Baguio and celebrate Christmas together with the family I grew up with. We had a rest house with a fireplace which I missed most. As I tour around the city, I was caught with a smile as I reminisce on how we usually watch old movies shot in Baguio with the whole family every night. But I can only leave it all behind as I go up in the mountains again and create another good memory, this time with the company of lovely friends.